The results of our work reach its zenith when our projects are handpicked by prestigious organizations to honour the effort, dedication and skills of our team. As most of our projects are client initiatives, we are silent winners when one of our clients is honoured. 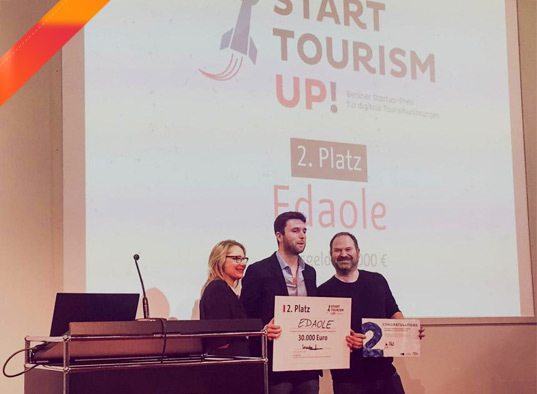 Recently we were given a pat in the back when one of our clients Edaole was adjudged runner up in the Berlin Start-up Award for Digital Tourism Solutions. 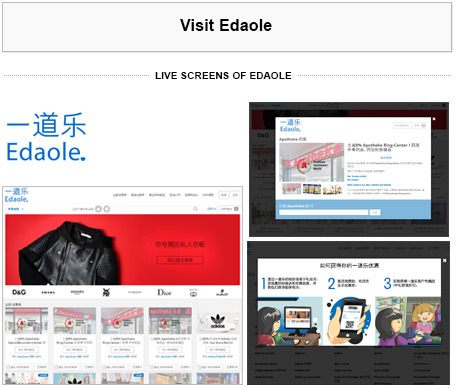 Edaole is a China based ecommerce that is regarded as #1 platform connecting western retailers with Chinese travellers. It is also this focus on a unique niche market that helped them become a winner at the Berlin start-up awards. Edaole’s unique features are powered by Vimocana’s in house ecommerce platform- Oorjit Coupons across all channels including Android, iOS, wechat and website. With our thinking caps on, we have spent hours working closely with them in understanding their needs, discussing concepts, strategizing, customizing, designing and implementing solutions to satisfy their niche market. At this wonderful achievement we would like to thank the Edaole team that put their faith in us and praise their efforts that has put a smile on all our faces. We strive to see that smile become much broader with all our clients. So let’s work together in creating happier digital experiences like these. © 2016 Vimocana Interactive DMCC.